Start in Chennai (Madras) and end in Kochi (Cochin)! 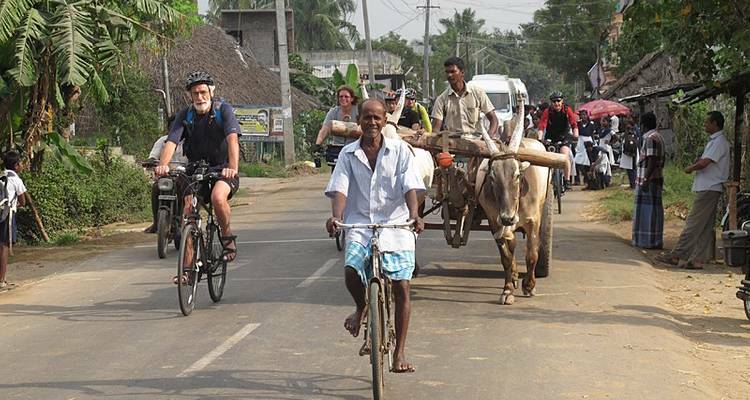 With the bicycle tour Southern India Coast to Coast Ride, you have a 14 day tour package taking you from Chennai (Madras) to Kochi (Cochin) and through Chennai (Madras), India and 10 other destinations in India. Southern India Coast to Coast Ride is a small group tour that includes accommodation in a hotel as well as an expert guide, meals, transport and more. Day 1: Start Chennai; transfer to Pondicherry via the shore temples of Mahabalipuram. Day 2: Circular ride passing the spiritual commune of Auroville. After lunch in the old quarter the afternoon is free. 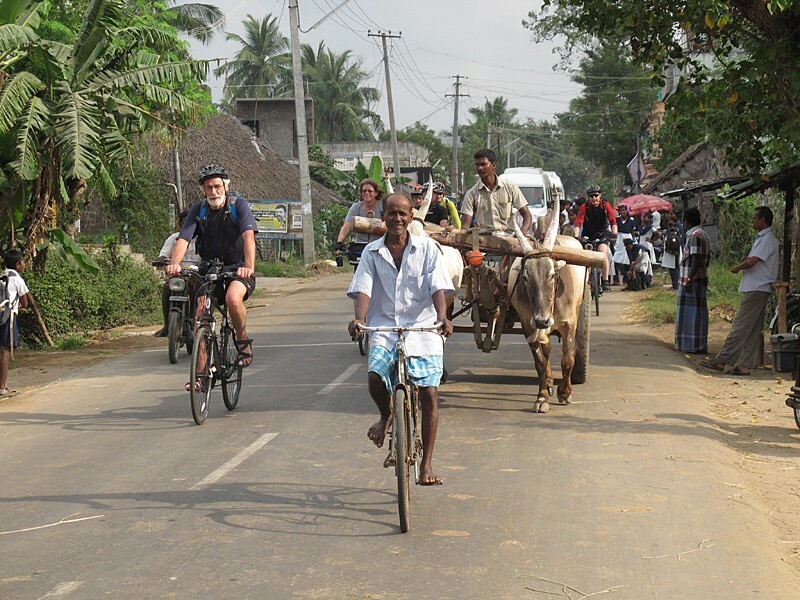 Day 3: Pleasant ride along village roads to experience the rural life of Southern India. Our afternoon ride heads to Chidambaram, famed for its bronze deity casting. Day 4: Riverside ride to the 16th Century Nayak's capital of Thanjavur; afternoon free to visit the town and Royal Palace. Day 5: Long ride through the Tamil Nadu heartland to Chettinad, renowned for palatial mansions. Day 6: Scenic ride to Madurai, a highlight of any trip to India. Day 7: Free morning to visit this magnificent temple city. Transfer to lunch then ride past Indian vineyards before a final ascent into the Western Ghats and our night stop at Thekkady. Day 8: Free day to relax and stroll around this hill station or visit the nearby Periyar N.P. Day 9: A hilly ride through the tea estates with a refreshing stop at a tea factory; after lunch ride one of the most scenic roads in Kerala to Vagamon. Day 10: Cycle through rubber and spice plantations to Kottayam, the Syrian Christian heartland of Kerala. Day 11: Free morning to explore or relax by the lake before boarding a houseboat for a stunning backwater cruise. Day 12: Final ride along the coast road to Fort Cochin. Day 13: Free day in Fort Cochin with its Chinese fishing nets. Chennai (Madras) is the starting point and Kochi (Cochin) is the endpoint. TourRadar only requires a deposit of $99 to confirm this Exodus Travels booking. The remaining balance is then payable 60 days prior to the departure date. For any tour departing before 20 June 2019 the full payment of $3,432 is necessary. No additional cancellation fees! You can cancel the tour up to 60 days prior to the departure date and you will not need to pay the full amount of $3432 for Southern India Coast to Coast Ride, but the deposit of $99 is non-refundable. Covering a total distance of approx 700 km.